Gubbins Home Timber & Hardware is a ‘can do’ business that has gone from strength to strength since opening as a greenfield site with 12 staff three years ago. Set on 10 acres and adopting a whole-of-house offer, including a framed truss plant and custom-built trade shed, today there are over 80 staff within the business who have created a holistic approach for those wanting to build in the Southern Highlands of NSW. 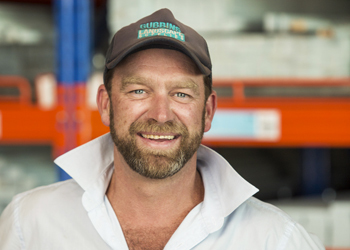 It was in 2013 that owner, Nick Gubbins, saw an opportunity to develop a hardware store in Moss Vale and offer locals a true independent hardware option, after the local Bunnings relocated to a larger site in nearby Mittagong. With an extensive background in landscaping and building, and running his own business for over 20 years, Nick decided to build a local hardware store from the ground up. 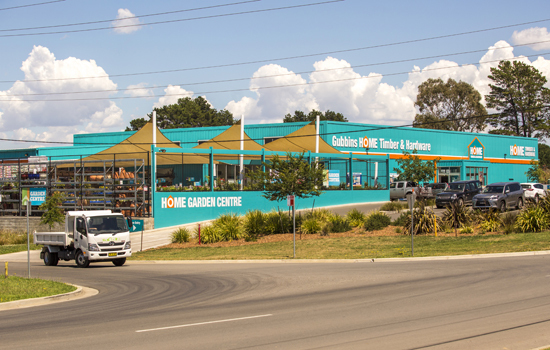 Gubbins Home Timber & Hardware continues to go from strength-to-strength across both trade and DIY retailing, and is an outstanding example of the ‘Best Store In Town’ strategy embraced under the Independent Hardware Group business model. Nick believes his key to success lies in the fact that he is still very ‘green’ when it comes to hardware retailing. “Our lack of retail knowledge has encouraged the General Manger, David Wansey, and I to learn as much as possible as we are both eager and enthusiastic students. We actually thrive on the challenge of creating this amazing local business,” Nick said. 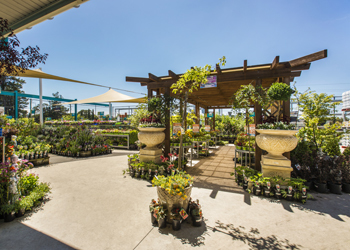 Before building the store, Nick managed a building and landscape supplies business. “At this stage there was a BBC Hardware Store (a Bunnings store) in Moss Vale. 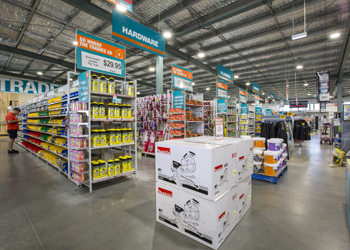 It wasn’t long before Bunnings built a larger format store in neighbouring Mittagong and left Moss Vale without a hardware store. For years I was saying some silly bugger needs to build a hardware store in town because the Bunnings departure left a big hole,” Nick said. It was in 2013 that Nick decided to step up and be that “silly bugger”, building his store from the ground up. “We acquired the property which was a former concrete batching plant. Over the next 12 months we demolished the plant and developed a purpose built 1,500 square metre retail hardware store, with a 300-square metre trade offer, combined with an acre of trade yard at the rear of the store. By May 2014 we were ready to open the doors for the first time,” Nick said. “David and I run the business day to day and my wife Katie also works in the office. We now have 82 staff within the business,” he said. 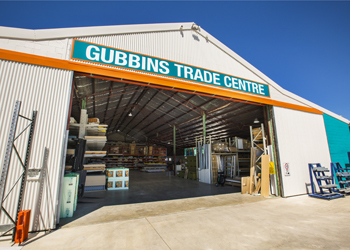 Just 12 months after Gubbins Home Timber & Hardware opened its doors, an extensive frame and truss business was developed on-site and has become a key point of difference. “About two and a half years ago we had Ray Nelson come on board, who is our frame and truss specialist, and he got me interested and excited about designing and building frames and trusses. We initially looked at suppliers who were multi-nationals or from overseas, and there was just no interest from them at all. It was then that we met Wendy, who is the State Manager from Multinail. Wendy understood what we were trying to do, and she has gone out of her way to do everything she can for us,” Nick said. Multinail assisted Ray and Nick in developing the frame and truss offer. “What is on site is identical to the plans they gave us. The quality of the product is very important to us because we are all about building quality homes. These are high-end homes that are more architecturally designed. The Multinail program is fantastic because it actually helps us to design all of this. Multinail being a family business is the most exciting thing for us because we are a family business and everyone we employ are local family people,” Ray said. According to Nick, the staff who run the store are the stand out quality of his business, along with his extremely loyal customer base. “We have amazing staff and therefore a great relationship with our customers, which makes assisting our customers one of the best parts of working at the store. What are we famous for? There’s no doubt it’s our people, our quality of product and facilities, respect for staff and customers, as well as the attitude and commitment to the business from our staff,” Nick said. “We have three main competitors in the area but what makes us different is the size of our facility, and the fact that we offer a holistic approach to building a house for our customers. This includes everything from landscape supplies, to frame and truss, to trade, to painting, and then eventually to landscaping and planting out their garden,” he said. As well as supporting family owned businesses, Gubbins has strong family threads within the business. “In the frame and truss plant we have two fathers working alongside their children, and our General Manager, David, regularly has his son helping out. It gives me great confidence for the future of independent and family-owned hardware,” he said. Quality is extremely important to the business, according to Nick, who said he and his staff pride themselves on delivering quality products and services. “We were humbled to receive so many awards, and it was great for my awesome team to get recognition from industry peers, suppliers and IHG for all their hard work. It proves we are on the right track,” he said. With a customer base of 60 per cent retail and 40 per cent trade, Nick also pointed out that although there are very mixed demographics in the region, management strive to continually cater to the vast array of local needs. “We participate in the HTH catalogue program and we have found radio and Facebook to be our most effective form of getting the word out. But most of all our best marketing strategy is investing in the community by sponsoring sporting clubs, schools, youth groups and local charities,” he said. The New Year should see the completion of the relocation of the landscape supplies onto the same site. However the main ‘project for 2018’ is to focus now on structure and implementing systems to increase synergies between all the departments of our business and continuing implementing the businesses holistic approach to building a house. “We’re up for the challenge ahead,” he said.